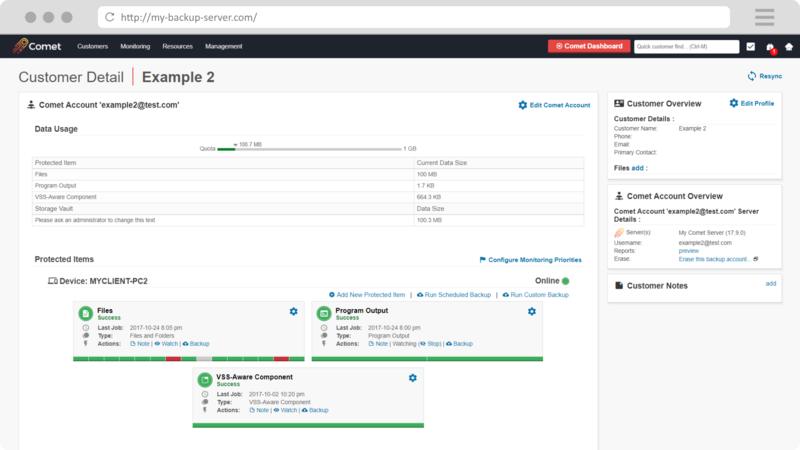 Whether you want to backup individual files, system state, databases, Exchange servers, or more, we have you covered. When it comes time to backup your data, Comet operates with blazing fast performance like you've never seen before. 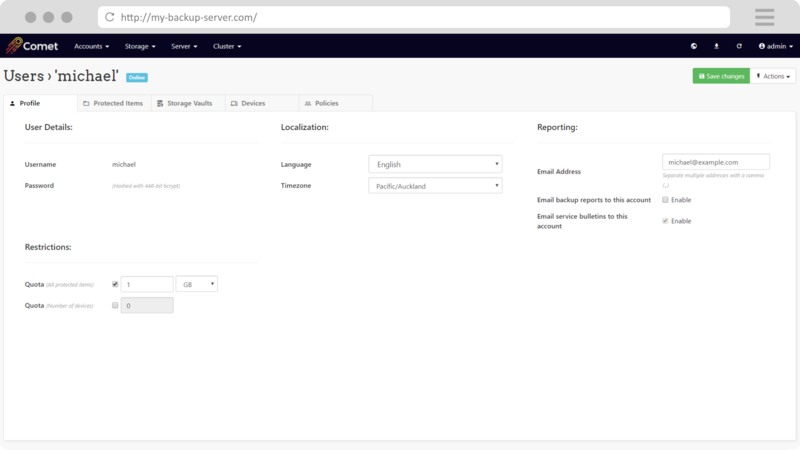 With best in class restore speeds and powerful retention technology, you'll be retrieving customer data rapidly, whether it's yesterday's backup or yesteryear's. 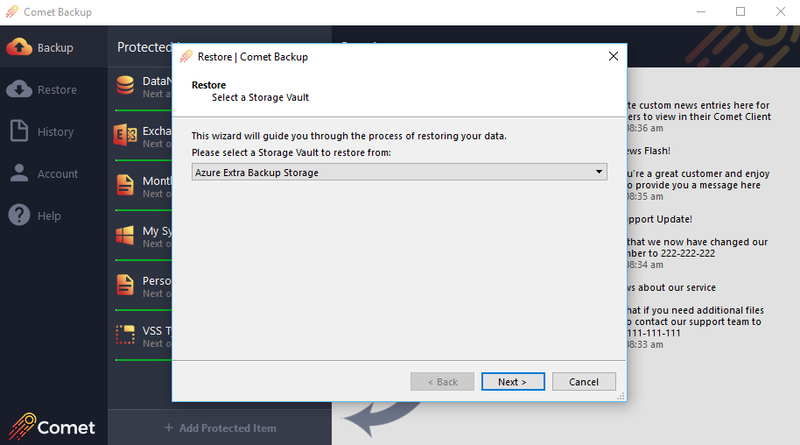 Store your data on your own servers, or shift the load to Amazon, Google, Azure, or more! Comet will even let you flexibly combine different storage types for maximum efficiency. 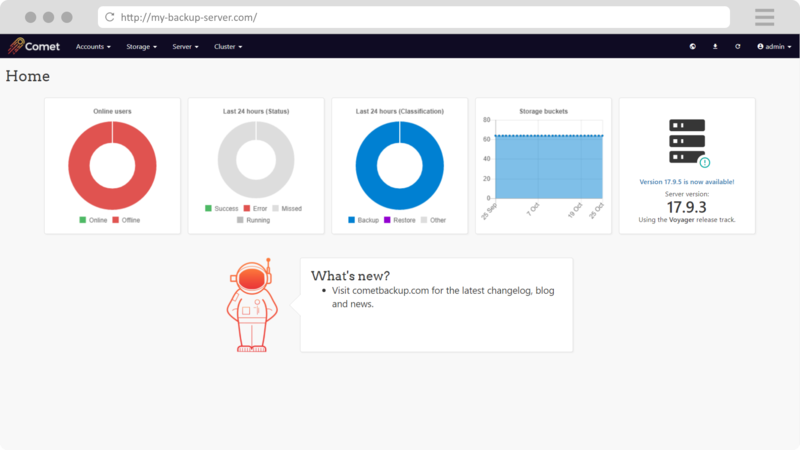 Quickly see your online users, stored data, and backup success rate from the Comet Server dashboard. View and edit the details of your users using our clean and simple user screen. 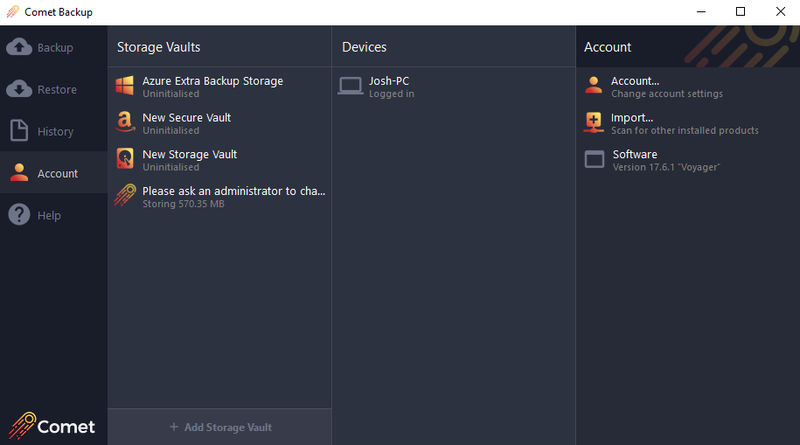 Manage protected items, storage vaults, devices, contact addresses, run backups and more. 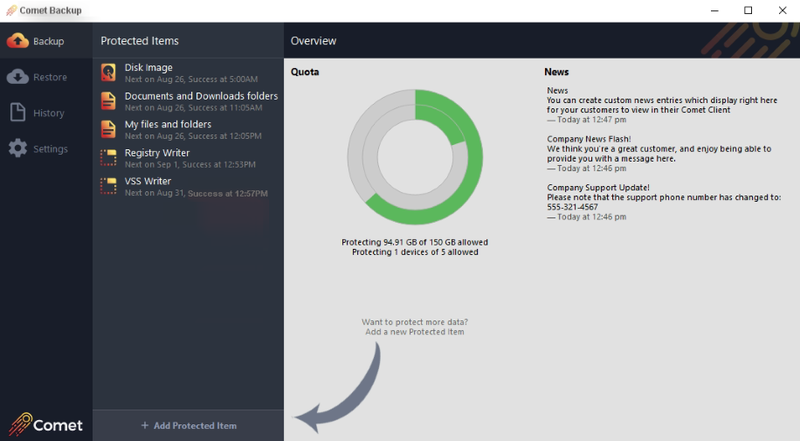 Serve branded client downloads directly from the server interface. Your own CRM and advanced monitoring functionality that’s accessible directly from your account dashboard, no installation required! 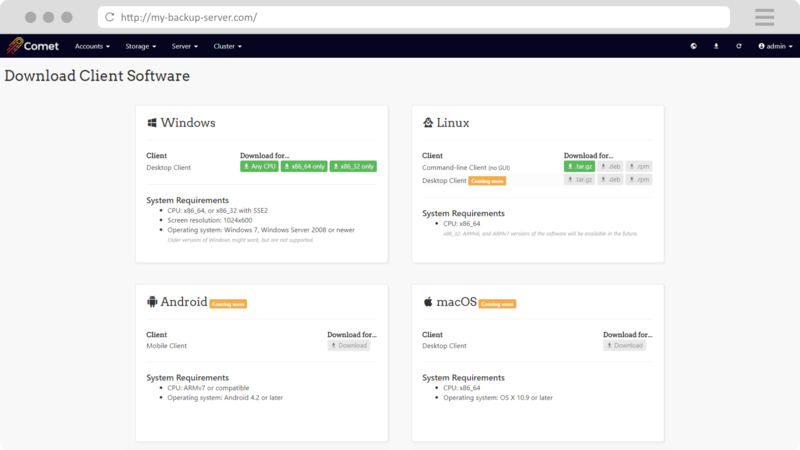 Cloudview unifies data across all of your servers, providing you with enhanced insight and metrics for your backup environment. 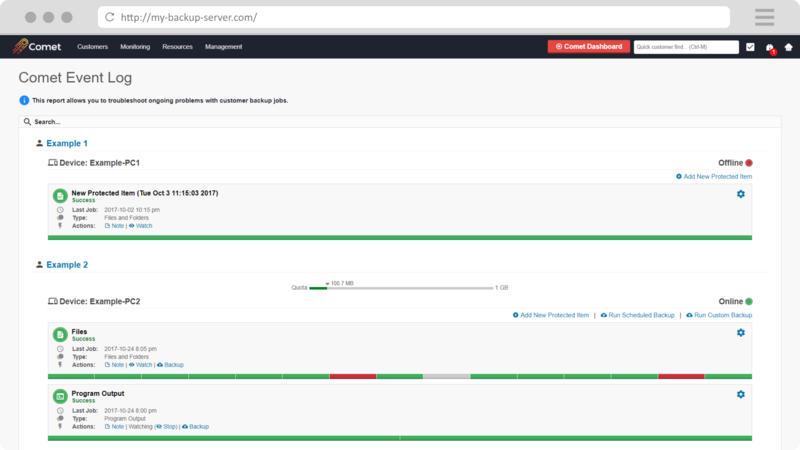 Deep dive into your customers’ backups for proactive management. No more remote sessions - Cloudview allows you to manage desktop clients directly. 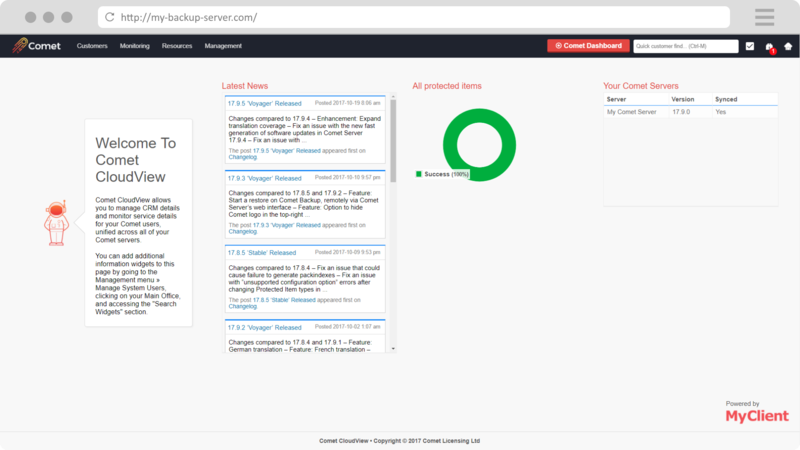 The Event Log is your central overview for anything that needs your attention, allowing you to rapidly identify and resolve any issues.